I don’t know about yours, but my September absolutely vaporized, taking with it the opportunity to blog Banned Books week properly. For several years now, I have made a point of reading a banned book to celebrate my right to read whatever I want. Unfortunately, most books have been banned because they address big topics, and are consequently long and dense. While I adore long and dense books, the middle of the semester is not a particularly conducive time for reading them. So I usually read banned children’s books. This year, emboldened by the realization that I do like some graphic novels, I read Persepolis. It was a wonderful and thought-provoking story, and I loved how the clean drawings heightened the impact of Satrapi’s stories of her childhood. Although dealing with dark, violent events, she did not sensationalize her subject: the perspective was always of an adult remembering her childhood, never of the Activist On Soapbox. 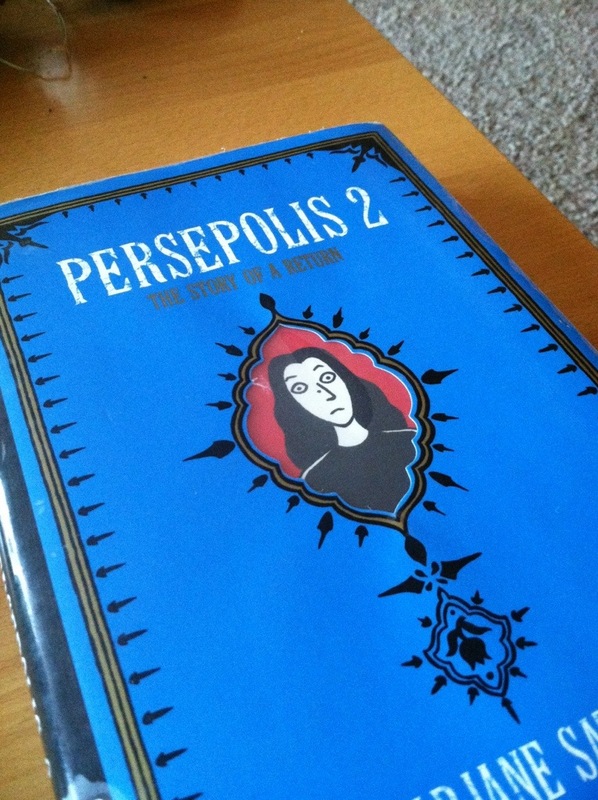 Of course, now I need to read Persepolis 2. ALA tells us that Persepolis was banned for “graphic images” (pause here to appreciate irony), but what about all those other banned books? At the beginning of the week, I helped build a Banned Books week display based on each of four themes named in the Banned Books series from Facts on File: Social, Political, Religious, and Sexual grounds. Well, I tried to help. Unfortunately, my anthropology training kicked in, and everything became Social. Political opinions and appropriate expression thereof? Determined by the most powerful group in a society. Inappropriate religious beliefs? Society polices that one too. Sexuality and how much is ok to publish where? Society calls those shots too. Sure, in some cases that society is small–just a handful of noisy parents in one school–but if they want a book banned, they’ll try. I had a lovely conversation with librarian leading the display about Censorship and Society, and then, feeling that perhaps I should do the job I had been asked to complete, used the Banned Books series’ judgement on whether banning was social, political, or religious. We ended up with a balanced display that was well-browsed and borrowed from. Score one for freedom of speech.